Tonight I had my first legitimate Apple Maps outrage. 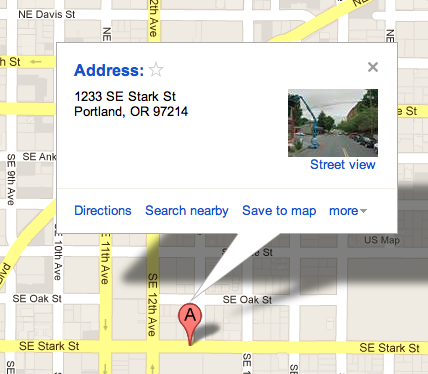 We needed to get to 1233 SE Stark St in Portland. 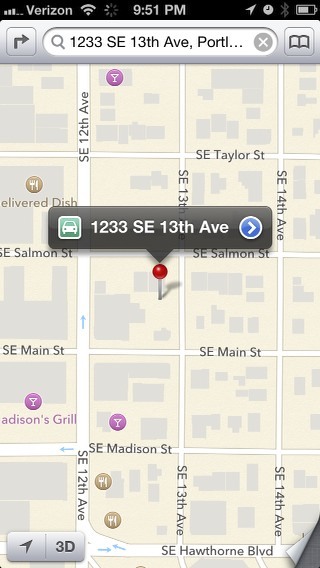 It’s a pushpin in the right location, titled “1233 SE Stark St”. If you’re paying attention, the pushpin is on the same location as in Google Maps. 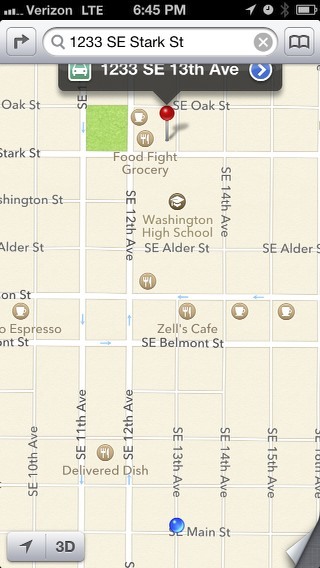 The caption for the Apple Maps version is 1233 SE 13th Avenue. 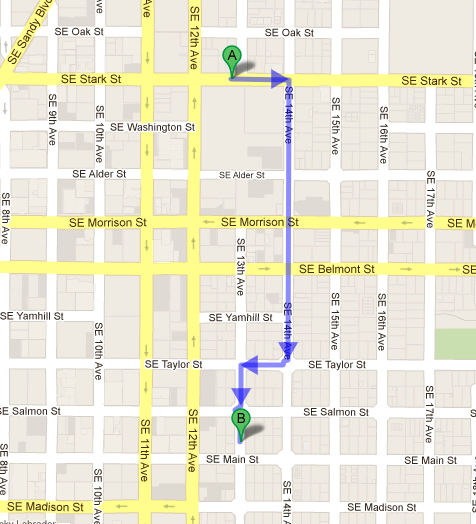 For fun, the blue dot is where we were after putting 1233 SE 13th Avenue into our car’s GPS because we didn’t want to use Apple Maps’ directions. Now, I can live (sort of) with out-of-date businesses. Well, not really. I can live with it not having as much detail, like footpaths. But when it takes the street address that you’ve typed in and shows the correct location but with a completely different street address.